Semi Annual Sale - 25% Off! 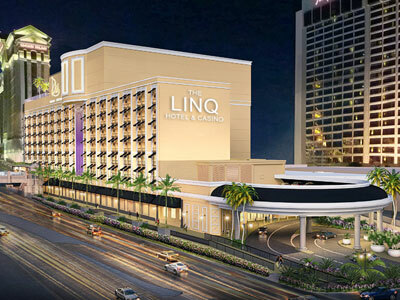 The Linq Las Vegas is taking part in one of the biggest sales of the year! The Semi Annual Sale gets your rates from $35/night before taxes/fees. Come join the Elite in Las Vegas with this exclusive offer. Get up to 30% off rates when you make your reservation online today. Promotion code automatically applied when you click the link. Receive 10% off at Caesars Entertainment Resorts with this special offer. Members of the Military(Service Member, Veteran, Military Spouse, Military Family, Retiree), Students, First Responder(EMT, Police Offers, Firefighter), and Teachers are eligible for the discount. To confirm eligibility to receive the discount on your stay at any Caesars property, simply click the buttons labeled Troop ID, First Responder ID,Student ID or Teacher ID located under the search widget on reservations pages(seen after you click "Learn More"). The Linq is in the heart of it all. 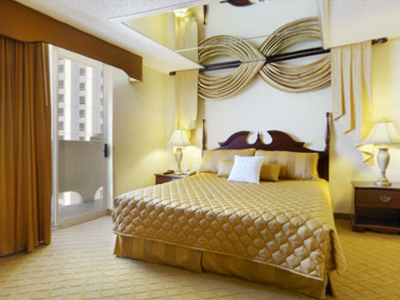 Centrally located on the Las Vegas strip and a stop on the Monorail system, this hotel has a fabulous location. The hotel boasts newly remodeled rooms to compliment its new casino and the fabulous entertainment. 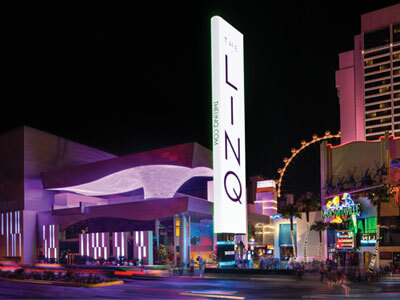 The Linq, previously called The Quad and Imperial Palace, is in the heart of it all. Centrally located on the Las Vegas strip and a stop on the Monorail system, this hotel has a fabulous location. The newly remodeled hotel has over 2,600 attractively appointed rooms with a nice compliment of amenities. This hotel has plenty to offer and the friendly staff will have you feeling like royalty in no time. The newly remodeled casino is where the action happens. The slots offer mega-jackpots, the latest games and technology and penny slots. 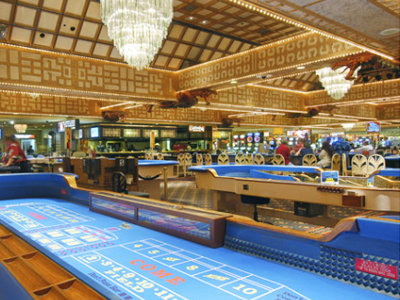 There are an enormous 55 table games to choose from. Enjoy the newly reopened Poker Room. The Q Theater offers live entertainment with headliners, tribute shows and female impersonators. The many restaurants will keep everyone happy with fine and casual dining. 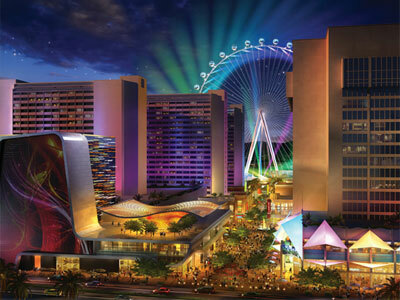 The Promenade offers shopping, dining, bars, the High Roller and Fly Linq Zipline. Relaxation is a must in Las Vegas so take in the pool or rejuvenate your mind, body, and soul at the full service spa. Keep yourself in shape and looking good with a workout at the fully-equipped fitness center. This perfectly located hotel has it all. The friendly staff will keep you feeling relaxed even while you are in the heart of the excitement. The center of the action is the High Roller observation wheel. Spa/Salon: The Spa is located on the quiet 4th floor and offers separate men’s and women’s facilities. The spa has whirlpools, relaxation lounges, a steam room and sauna. Relax and enjoy one of the refreshing treatments including a variety of body wraps, body scrubs, facials, waxing and rejuvenating massages. Renovated in Spring 2015. Pool: Open seasonally, the Influence pool is located on the second floor, tucked away among the palm trees. The large pool deck offers comfortable lounge chairs, a hot tub and rental cabanas. The pool makes relaxing easy with full cocktail service and food service so you can spend the day. Enjoy the newest attraction on the Vegas Strip by Zip-lining over the Linq promenade on the new Fly Linq. The newest immersive experience to hit the Strip, VR Adventures allows you to experience an alternative reality of your choosing. The room did not blow us away. The prices are affordable, however. It is a little outdated and quite noisy at night. Don’t expect to sleep soundly. The view was spectacular, but we will probably stay elsewhere if we visit Vegas again. There’s so much to do at the Linq, and it helps that the rooms are nice and comfortable. We just stepped right outside and we had several restaurants at our feet. We even took a ride on the High Roller, which is a MUST SEE! We didnt expect much though because of the 20 dollar price! Rooms were clean comfortable n simple but decor was very dated. The best thing about this hotel is the location. Right smack in the middle of The Strip, opposite Bellagio and next to Harrahs.